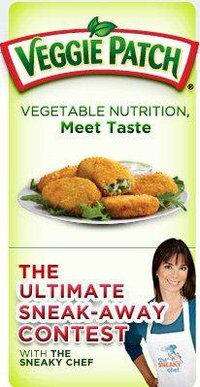 When Veggie Patch approached me about a contest they were doing, I first looked up all of their products, I next drooled over the Spinach Bites, and I then started thinking about ways that I sneak veggies into recipes. As some of you may know from reading my blog, I don’t have kids, but I DO have a significant other with a very touchy palate and a less than voracious appetite for vegetables! And although he has started eating many knew things in the past couple of years, veggies are still a struggle. Of course there are some favorite recipes that load us up with vegetables with no struggle at all, such as chili and spaghetti sauce. 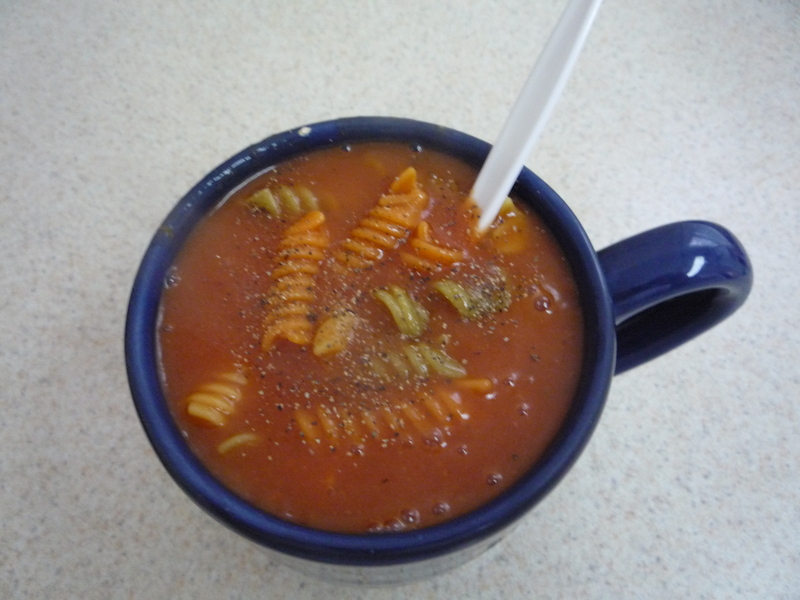 There are also quick and easy ideas such as tomato soup with veggie pasta. But beware of false labels! 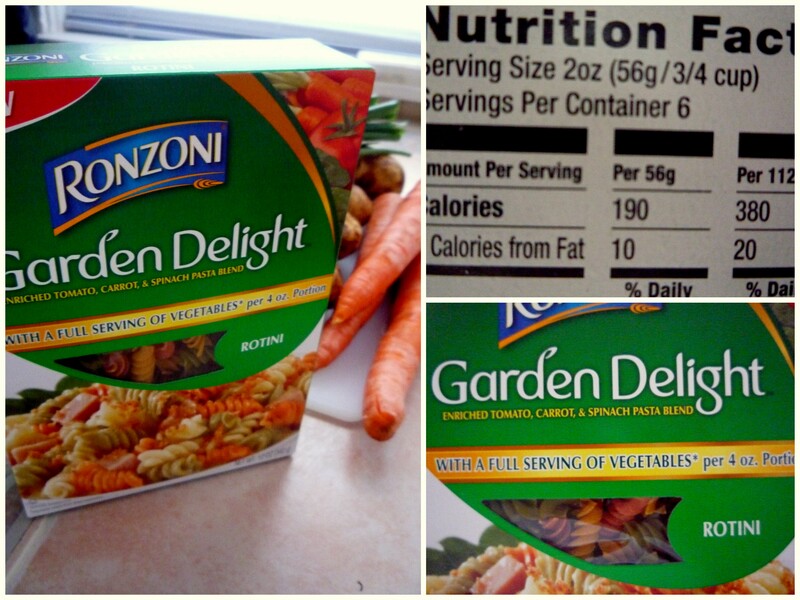 This pasta boasted: “A Full Serving of Vegetables in Each 4 oz Serving”, however, an actual serving size of the pasta is 2 oz. The point here, make sure to read all of the labels, and not just take the advertisers word. So yes, there are some amazing and delicious quick ways to get your veggies easily out there, but I wanted to cook up something of my own. It is cold up here in New England, so soup was an obvious choice. And potato soup had been calling my name for weeks, so potato soup it was! In a medium saucepan, add your potatoes and cover them with water and a dash of salt. Bring to a boil. Once potatoes are boiling, allow to boil for 15 – 20 minutes, or until fork tender. Add butter and 1/2 cup of milk to the potatoes and whip until smooth. Salt & Pepper to taste. Set potatoes aside. 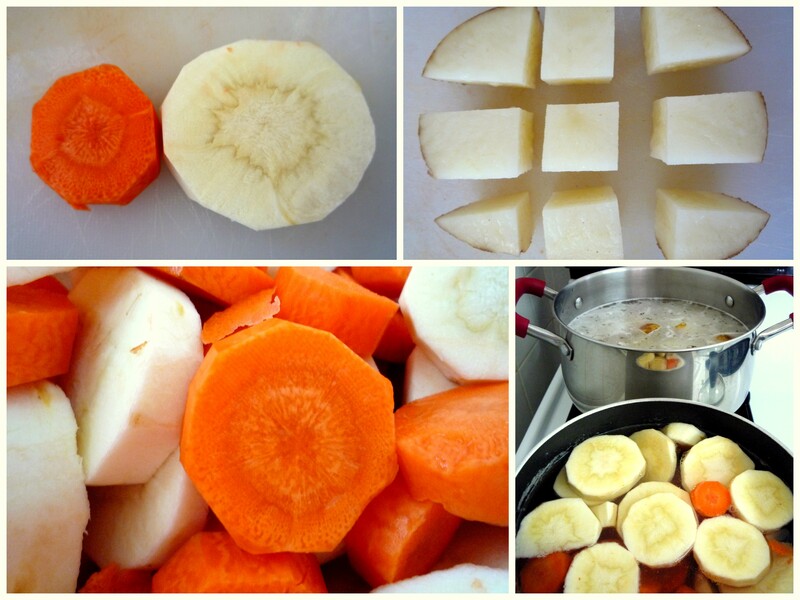 In a medium saucepan, add carrots and parsnips. Cover with water and a dash of salt. 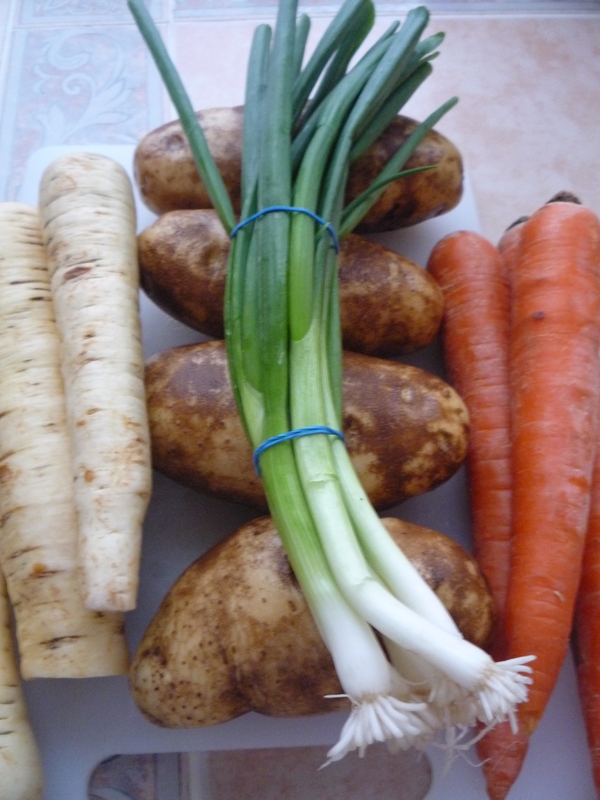 Bring veggies to a boil and allow to boil for approximately 10 – 12 minutes, or until tender to the bite. Drain veggies and place in food processor or blender. Add 1/2 cup milk to veggies and blend until smooth. In the pot you will be cooking the soup in, brown your diced bacon until crispy. Add onion and garlic to the bacon drippings, over medium heat, and cook until translucent. Add 4 cups of mashed potato, and 2 cups of mashed veggies to the onion and stir well. Add 1 cup of chicken broth and stir until well mixed. Continue until you have added all broth. Heat soup until it is JUST about to boil. Reduce heat to low and allow to simmer for at least 30 minutes. 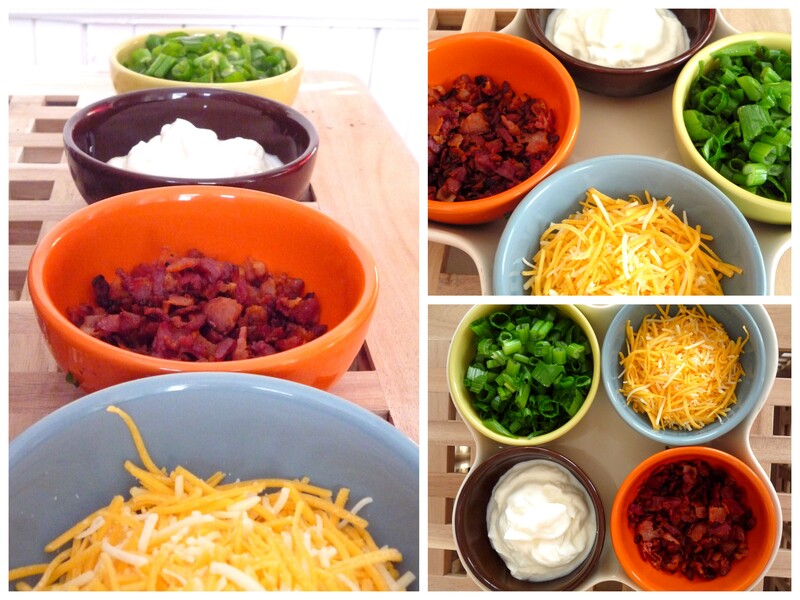 Serve with toppings such as the bacon bits you made, sour cream, green onions, shredded cheese, or anything else you can dream of. Veggie Patch, makers of better-for-you vegetarian foods and meatless snack options, introduced The Ultimate Sneak-Away Contest with best-selling author and culinary expert, Missy Chase Lapine—known as The Sneaky Chef—to give moms clever new tricks for sneaking real vegetables into some of America’s favorite foods. The Ultimate Sneak-Away Contest, hosted on Facebook invites you to share your “Sneak of the Week” – a favorite tip, trick or recipe designed to sneak veggies into a meal, snack or dessert. One lucky “Sneak of the Week” submission will win The Ultimate Sneak-Away grand prize, including an exclusive, in-person culinary consultation with Missy Chase Lapine, where she will share cooking tips and provide custom nutritional advice. In addition, Missy will prepare a delicious dinner for the family while you sneak out of the kitchen to enjoy a relaxing spa treatment. The contest will run through January 30 2011, with three recipes selected weekly by Veggie Patch and Missy Chase Lapine as the featured “Sneak of the Week.” At the end of the contest, a total of 15 finalists, dubbed “Undercover Mothers,” will receive prize packages, including a year’s worth of Veggie Patch products and a Flip Video™ UltraHD™ Camcorder to film themselves in the kitchen whipping up their recipe and providing step-by-step cooking instruction to help others re-create the dish in their own home. All videos will be uploaded to the contest Facebook page and on February 15 voting for the Undercover Mothers will begin. Consumers, fans, friends and family can vote online for their favorite Undercover Mother video and recipe to win The Ultimate Sneak-Away grand prize. The Ultimate Sneak-Away Contest launched on Dec. 27, 2010, and entry submissions close on Jan. 30, 2011. Voting for the Undercover Mothers is open from Feb. 15 through Feb. 22, and the grand prize winner will be announced on Veggie Patch’s Facebook page on Feb. 23, 2011. 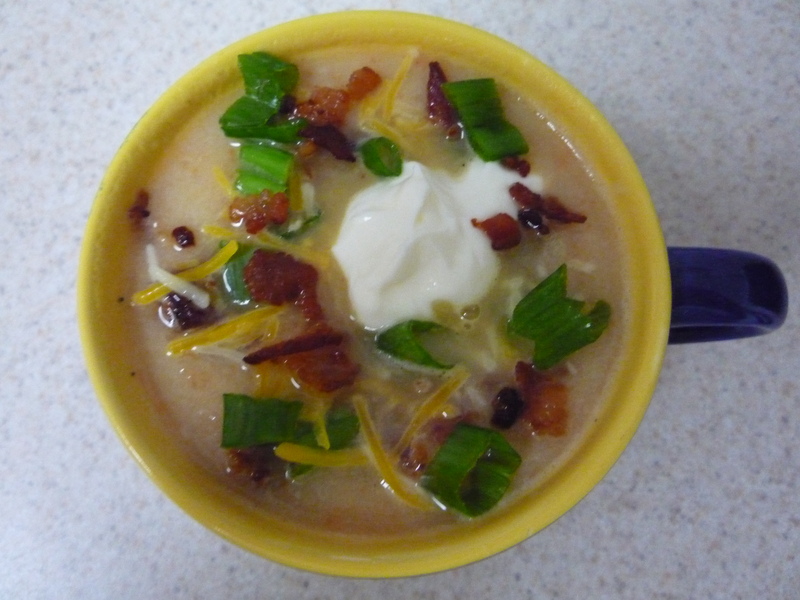 This entry was posted in Recipes and tagged bacon, carrots, Contest, parsnips, potato soup, recipe, sneak vegetables, soup, vegetables, veggie patch by reneeh. Bookmark the permalink. Soup is a great way to get more veggies, though I always caution people who try to fool kids by putting carrot in burgers, etc. When the kids figure it out, they feel betrayed in a way. I read a great book on the subject once. But I digress– this soup looks fabulous!! Love potato soup! And if you’re dealing with a picky adult, the rules for kids don’t apply 🙂 Go ahead and trick away! I feel your pain with having a SO who doesn’t like veggies. The ones he will eat, I try to make for the both of us when we eat together and eat the ones only I like when we don’t. I also force carrot sticks (with ranch dressing of course) into his lunch box. 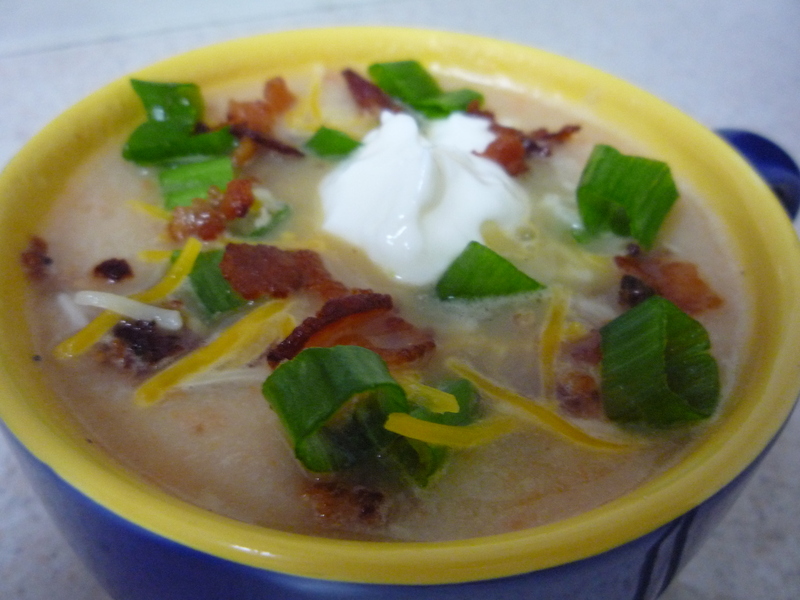 Yum….I love potato soup! I’ve got a TON of taters and am planning a potato soup in the next couple of days too!